Our Culinary Medicine Training Program (CMTP) is co-developed by physicians and chefs. 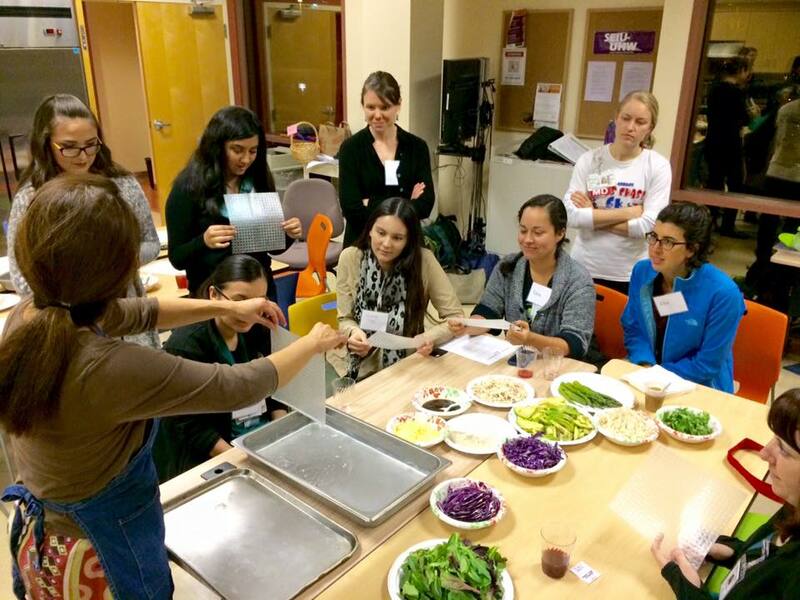 The program is for healthcare professionals who want to build the skills needed to help patients prevent and reduce chronic diseases through healthy cooking and eating. It is also for those who want to improve their own relationship with food and health. Health professionals are people, too—and exceptionally busy ones whose own self-care can take a back seat to client care. The skills learned in our classes are as useful personally as they are professionally. The CMTP is designed to be flexible, tailored to the needs of audience and place. The complete curriculum is 6 modules delivered over 18 hours. It may be implemented in 6, 3-hour lessons, in a weekend intensive, or in other variations. Individual modules may also stand on their own, or be delivered in combination with other modules.